Ho Chi Minh City is Vietnam's largest city and was formerly known as Saigon when it was the capital of the former Republic of (South) Vietnam. 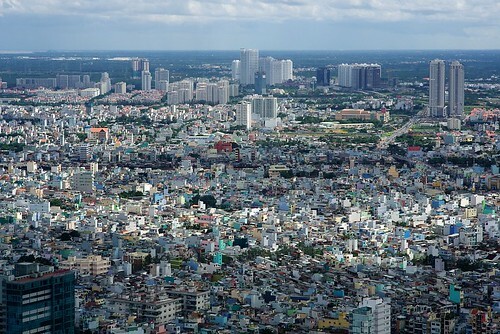 Still referred as Saigon by many locals, it was once a city in turmoil after the Vietnam War but now on a fast pace forward. 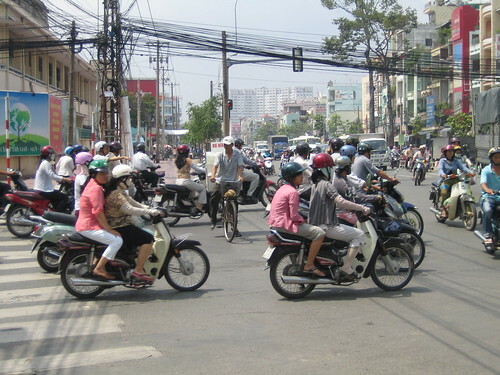 For many visitors to Vietnam, the city is the main gateway into the country and a transport hub. More at Guide to Ho Chi Minh City. Ho Chi Minh City is a blend of the old and new with sleek high-rises and modern shopping malls sharing space with colonial era buildings, wooden shops, ancient temples and traditional markets. The streets are choked with cars and even larger number of motorbikes. Traffic in this city seems slow moving, chaotic, bewildering and almost scary but surprisingly does move. 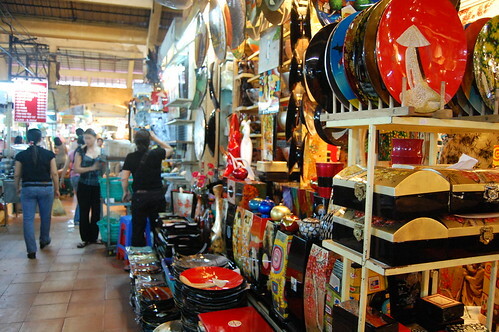 The Ben Thanh Market is the largest market in Ho Chi Minh City, occupied by several hundred stalls. The market offers varieties of goods including nuts, dried foodstuffs, candies, clothes, handicrafts and souvenirs. 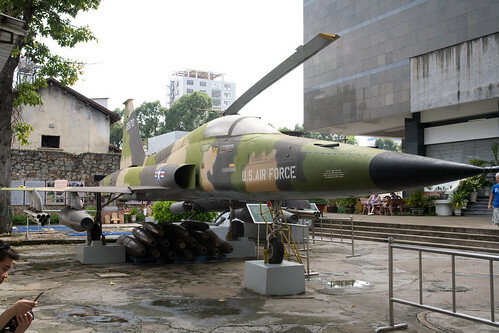 The War Remnants Museum and Reunification Palace are the two major museums in Ho Chi Minh City devoted to the Vietnam War and era before Vietnam's reunification from the Vietnamese perspective.